Be true to yourself. You’ve heard of Snapchat and you’ve seen a lot of people use it for different reasons, be that their own gigs or just for laughs – but you’ve always been quite skeptical of how all of it may be used for accelerating your business. You are not the only one there. In fact, there is a lot of people who thinks exactly the same. The main reasons for that is probably the fact Snapchat is not as straightforward as Twitter or Facebook. However, this certainly does not mean that there’s no space for Snapchat in your business. I am a number geek so I alway first look at numbers and then dive into more details. In just one year – from May 2015 to May 2016 – Snapchat has grown their video views to over 400%. At the moment, Snapchat now gathers more users than Twitter. 60% of smartphone users between the age of 13-30 are using Snapchat. Using snapchat for your marketing purposes is surely a new concept but one thing is for sure – it’s worth trying. If you are not pushing your product to the younger audience and millennials that is no longer a reason valid enough for not using Snapchat. Over 50% of new snapchat users are over 25 and the there has been spotted a significant growth of those age 35 and over. Snapchatters are really in love with the app. More than half of the users of all the snapchat users check the app every day. Snapchat users cannot be discovered organically. Choose a name that is easily connected to your brand. It can as well be: example.com. Once you’ve done that go ahead and entice your audience to follow you. It’s clear – you can send them your Snapchat name but it would be even better to share your Snapchat profile URL with the audience. Snapchat URLs are better because, once clicked, your audience will see your profile and a CTA button to add you – which, we must admit, makes everything easier to manage. Being active on social media does not end with setting up a profile on social media and giving a shout out every time you feel like it or so. Dare I say, setting up all the social media profiles is only a start. Regular updating is a must for every company who claims being active on social media. Keep an eye not to make the most common mistake and share too much corporate info on your Snapchat profile, because it is simply not a place for that. Build a brand and following by offering exclusive Snapchat promo codes. Coupons are sometimes the right solution to convert potential customers into customers. Additionally, limited time offers of BOGOFs are great for those who were undetermined if they really want to buy it or not. There is also an option for offering a limited quantity products at a discount which proved to be great. 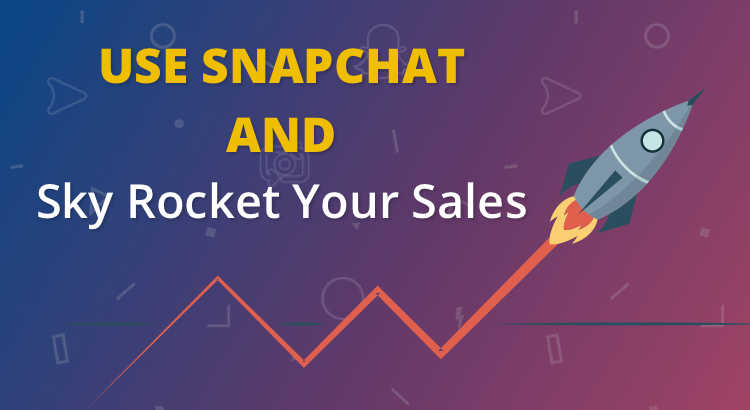 This way you can grow your audience further letting them know that only on Snapchat they can come to special promos and offers. This will have your followers engaged because they wouldn’t want to miss a single discount code – right? Alternatively, if your goal is to drive traffic building links to your site, you can simply share your Snapchat story and encourage your followers to check it out. If you are running an eCommerce business, make a decision about which link to share based on that and give it a go. When Snapchat announced On-Demand Geofilters are becoming available, a lot of resources have been given to people who wanted advertise their business in a less expensive way. Small businesses, shops, coffee places could use geofilters in order to engage with their customers and build hype around using them. The enormous potential of geofilters certainly lies in the fact that they are not as expensive as Snapchat lenses, not as intrusive as the ads on social media and funny enough that people would actually want to use them. And think about the audience too – thousands of Snapchatters can be reached by people using geofilters and the word about your small business can be spread all around Snapchat in a fun way. Bottom line is that you can be pretty confident that geofilters will help with engagement and brand recognition as well. You might also like: How does Snapchat make money? Unlike many other traditional ads that invite target group to ‘click’ on the ad, Snapchat has stepped out of the framework, and it was for good! Snapchat will show the ad with an option to swipe up if you want to see more. When the user swipes up he’ll be able to see more of your content – that can be anything from your mobile site to a long-form video or even the whole article, again, totally up to you. It may not seem like that but Snapchat is maturing and it’s actually ready to start focusing on ecommerce. This is the ideal moment for companies to join the platform. Snapchat is planning to create an ecommerce platform that will allow users to buy directly from Snapchat and it could mean some serious expansion for snapchat. Snapchat is at the moment focusing on two new features for those who are running ads: deep linking and web auto-fill. Deep linking is in fact going to allow Snapchat users to swipe up and tap a link and from that point on they will be brought to another specific place – that can even be within another application. It can be anything from a playlist to a specific product page in an e-commerce app. Auto-fill is pretty self explanatory as it will allow users to complete lead gen forms and use the same data they have entered to sign up for products and services sparing them time and effort of repeatedly typing in their credentials on smarthphones. Your audience and audience-to-be will absolutely love events. Create a live stream during product launches or trade shows and include your audience in that unique experience. Also, events will educate them about your products and services and exclusivity can make your customers feel like they are being a part of something bigger and special. Small eCommerce business owners can really benefit of sharing Snapchat followers. Engage with your customers answering their questions and doubts and make sure not to leave anything attended. Online shopping has provided us with the utmost experience of shopping from any little corner of the world. However, what online shopping failed to do is overcome difficulties with customer-business rapport – an issue always present when there’s a lack physical proximity. Transparency in businesses is bringing all of these pieces to one place. Give customers a sneak peek into your operations or the processes you lead in day-to-day life. Behind the scenes footages are great for building trust and they will bring potential customers closer to your store. In order for any of this to work, either you want to advertise or network on Snapchat, you will have to have a clear picture of your marketing strategy. Once you’ve come up with this, go ahead and try out each of the upper mentioned tips! Mike Thatcher is a Digital Ninja with a years’ long experience. Digital nomad by the place of residence, he is passionate about entrepreneurship and leading small businesses and startups. His current focus is helping businesses create better growth systems. © 2018 Customfilterz. All Rights Reserved. We are not sponsored, endorsed or affiliated with Snapchat Inc.